A 250 year old public house, is probably as well known as the annual display of flowers that adorn the building, as it is for the quality of hospitality and catering. Floral display is the work of the owner Graham Stiles, who was inspired by what he had seen in Austria. 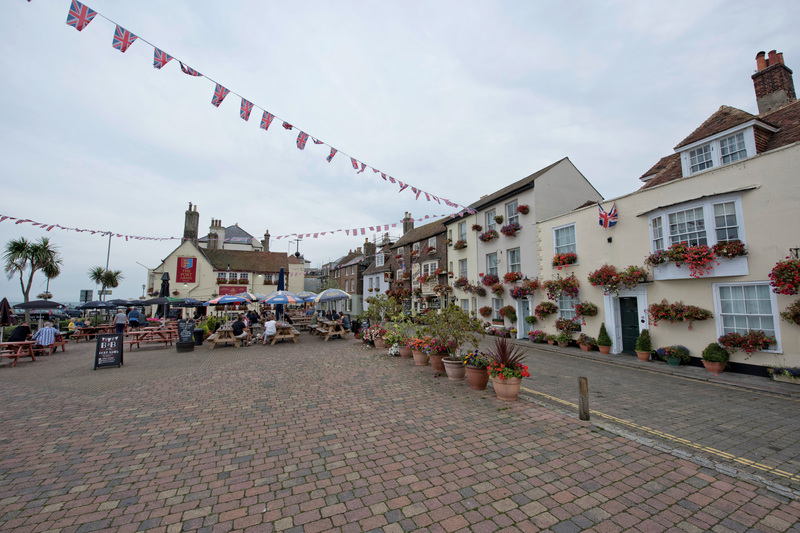 Following the lead that he set in 1979, many other businesses in Deal create floral displays every summer, and this in turn has led to the establishment of an annual floral display competition. Established over 20 years with the same owners. Full English Breakfast and good pub food at all times. 2 ground floor rooms, are suitable for people with walking difficulties. 6 rooms with sea views. 2 Family rooms. Catering for groups, special meals and diets catered for.